With minimal gear and set up Leo Mars managed to manoveur themselves somewhere inbetween a bedroom thrashing noise keyboard project and a theoratical paper score composer duo. Performing in a trance - allowing things to happen - awaken - making a conscious decision - slipping back into space. 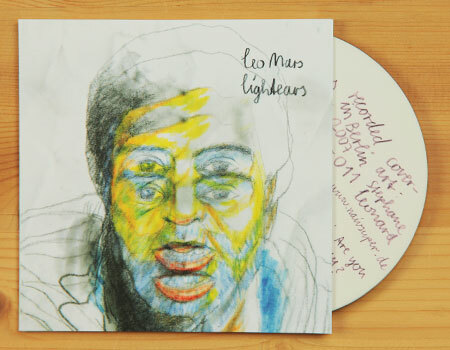 Leo Mars or formerly known as the Leo Mars Ensemble is Marcel Türkowsky and Stephane Leonard. Both have been playing, improvising, writing and recording experimental and drone for quite a while. ´Lightears´ is a collection of seven tightly wound electronic and noise pieces with a sound harkening back to early Japanese power electronics. The material utilizes a range of sources: distorted organs, tape loops, short wave radio, to general hum, noise and probably various other sounds.